The Propex Pyramat is a woven geotextile designed for erosion control on steep slopes. Promotes infiltration of surface water. Pyramat is resistant to both hydraulic and non-hydraulic stresses. 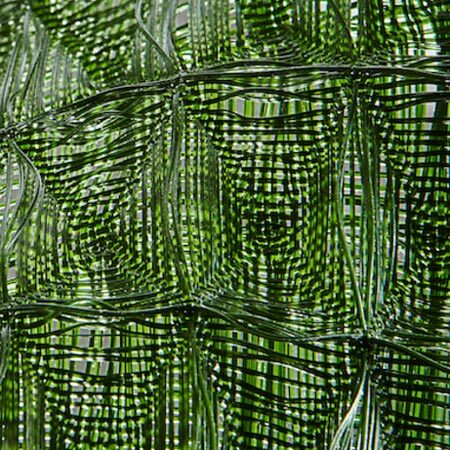 Woven construction is stronger and more durable than traditional TRM's. Easy to install, which reduces time and labor costs. The Propex Pyramat is a three-dimensional, lofty woven polypropylene geotextile. It's designed for erosion control on steep slopes and vegetated waterways. The Pyramat is recognized by the Environmental Protection Agency and the Federal Highway Administration as a Best Management Practice to improve water quality. It's patented trilobal X3 Fiber technology helps to lock in seeds and promote rapid root mass development. It's an entirely environmentally-friendly solution for improving groundwater quality and protecting wildlife.